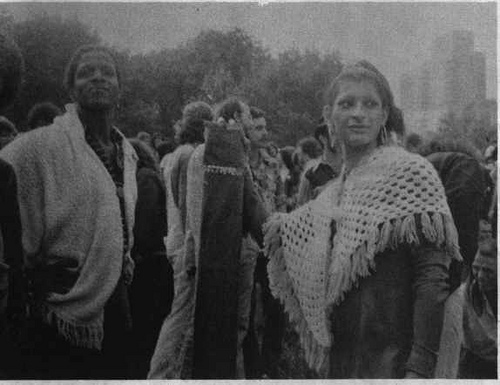 I have decided to make my thesis, Boston Area Transgender Community Leaders and the “ENDA Crisis” An Oral History Project, more widely available so I have uploaded the pdf on my blog. I started researching, interviewing, and writing this in February 2008 and completed the final draft in August 2009 as part of my requirements for a Bachelor of Arts degree at Goddard College. Please contact me at gunnerscott at gmail dot com before reproducing any part of this work. Warning: It’s almost 300 pages long. Thesis questions/focus: 1) Did Virginia Prince and/or Sylvia Rivera’s activism contribute to the early gay rights and/or transgender movement; 2) how long have transgender activists I interviewed been involved in educating the public and how did they come to be involved; 3) how did the intense public debate regarding ENDA during Sept 2007 through Nov 2007 impact members of the transgender activist community I interviewed; 4) what is my motivation for being involved with transgender activism and my reaction to the “ENDA Crisis;” 5) how has this project has changed my relationship with the transgender activists I interviewed? I am a transgender activist that has been participating in the transgender rights movement for the last ten years locally in Boston, MA and also nationally. Although I have been part of this movement, I feel as though I am not as knowledgeable about the history of transgender activism in the United States as I would like to be. Additionally, there have also been accusations by some gay, lesbian, and bisexual activists (GLB) that the transgender community has recently “tagged on” to the civil rights work and the transgender community is trying to get a “free ride” without having done any work for their own rights. It is like some GLB activists and politicians are saying we [transgender people] have just shown up today and expect to be included. 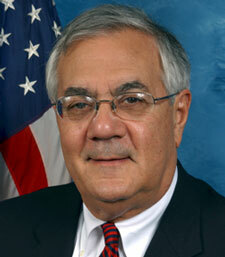 Recently, Representative Barney Frank alluded to this assumption in his 2007 statement he released after he introduced an employment non-discrimination bill to be voted on the House that only included sexual orientation after previously introducing an employment non-discrimination bill that included sexual orientation and gender identity. I find this argument unjust and I also feel that is likely to be untrue, but I have not had the historical facts to back up what I feel. I feel that transgender people have been fighting for liberation and equal rights for as long as gay, lesbian, and bisexual people have and alongside GLB people. Therefore, I intend to examine the time period around the 1950’s through mid 1970’s to see if there was transgender education and/or unity in the beginning of what is consider the gay rights movement. 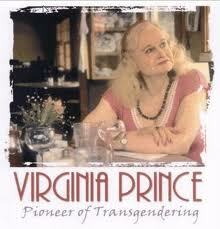 I will narrow this examination down through investigating the lives and activism of past transgender leaders, Virginia Prince and Sylvia Rivera. In addition, I want to also understand how those who live openly as transgender and are community educators, leaders, and/or activists of today were affected by and dealt with the civil rights setbacks of the 2007 specifically the “ENDA Crisis.” Through the my oral history project, Boston Area Transgender Community Leaders and the “ENDA Crisis” I would like to explore and understand the experiences, feelings, and reactions of the interviewee participants during this time and about Federal-level LGBT civil rights legislation. I want to understand how these leaders came into transgender activism, what they think about legislative tactics as way to end discrimination and if they had to express a public message different from their personal feelings with regards to the situation. I have identified the “ENDA Crisis” as the period between September 2007 and November 2007, during which there was ongoing public debate, community organizing, and intense lobbying by lesbian, gay, bisexual, transgender, (LGBT) and allies of House members of Congress to pass H.R.2015, the sexual orientation and gender identity inclusive version of the Employment Non-Discrimination Act (ENDA). H.R.2015 was introduced on April 24, 2007 by Representative Barney Frank (D-MA) and included both sexual orientation and gender identity, protecting those who are or are perceived to be lesbian, gay, bisexual, and transgender from employment discrimination. (Search results – THOMAS (library of congress).) This was the first time on a federal level that legislation to protect transgender people had been introduced, because for the last 34 years a sexual orientation only version of ENDA had been introduced. There was intense public debate in the LGBT media, blogosphere, and on email listserves regarding whether or not the bill should move forward without transgender inclusion. On October 1, 2007 the United ENDA Coalition, organized by National Gay and Lesbian Taskforce, sent an open letter to House Speaker Nancy Pelosi and House members stating, there is “United opposition to sexual-orientation-only employment nondiscrimination legislation.” (United ENDA.) This was followed by weekly action alerts, press releases, blog posts, and op-ed letters sent out by the growing coalition of the over 300 member organizations urging House members to only vote on a sexual orientation and gender identity inclusive version of ENDA. He also goes on to say about the strategy of the United ENDA coalition “Now those who run our GLBT rights organizations have abandoned that strategy for one that makes absolutely no sense: try to pass the most politically palatable form of protection (in the workplace) but saddle it with the least politically palatable category (gender identity). Craine’s criticism may have gained the most attention, because its being published in the San Francisco Bay Times, but others where making their dissatisfaction of the United ENDA strategy know through blogs, e-lists, and in offline conversations. Ultimately, the Human Rights Campaign (HRC), the largest LGBT political advocacy organization, chose to back the strategy to push for a sexual orientation only version of ENDA. This placed HRC opposite the majority of the National and State level LGBT organizations regarding ENDA.